Happy New Year! 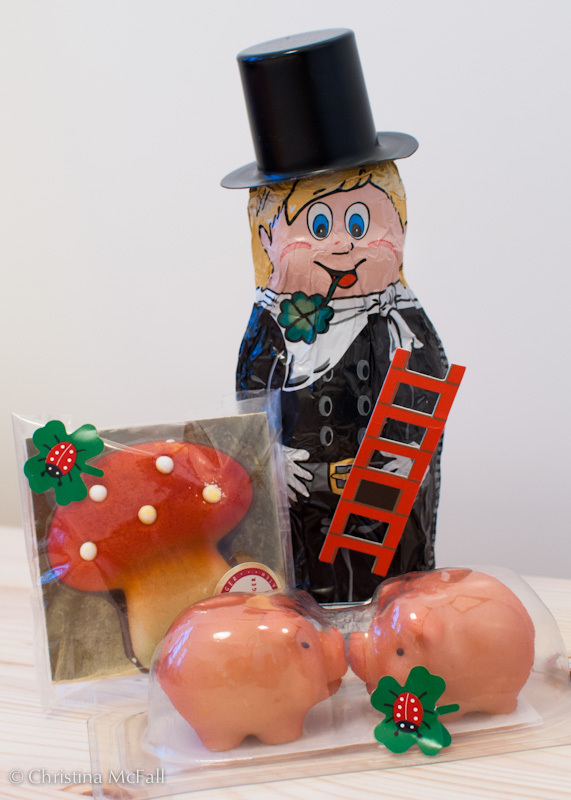 I couldn’t resist picking up a few of the German good luck candies for the new year. Traditional lucky symbols are very popular here and include: pigs, mushrooms, clover, ladybugs, horseshoes, and of course the chimney sweep. Frohes Neues!